We supply copper wire scrap millberry 99.99% purity on regular basis at Rs. 300 per kg ex- Chennai port including all duties and taxes. Payment by 100% SIGHT L/C. Minimum qoantity 50MT. 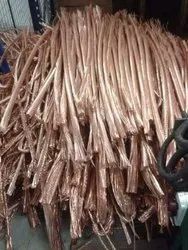 Copper Wire Scrap 99% Millbery Min. Copper WIRE SCRAP, (Millberry) 99.99% at a purity of 99.98% min. 99.99% Max. 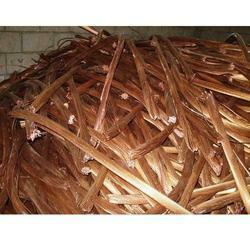 We are highly acclaimed to offer finest quality copper scrap in the industry. This scrap is extensively used for producing high quality products due to their attributes of ductility and malleability.Our clients can avail scraps of various kinds that can be easily recycled to produce various products and equipment. These can be availed at highly subsidized prices. We can supply on monthly basis around 10-50 tons per month of Ceramic cpu scrap for gold recovery and scrap motherboards and lan cards. We also supply sample order from 100 KGS. Our prices changes according to your order. For bulk order or sample order, contact us for our quote. Copper millberry crushed cake scrap(as in image) purity 99.95%. price with out duty and taxs. Sold on high sea sales @ Nhava sheva port bonded warehouse. Intrested parties shall contact with prior copy of LoI. Payment DD of adviced duty to customs as minded as advance to the shipment. RTGS on sight after cargo verification. MoQ 20 Mt.